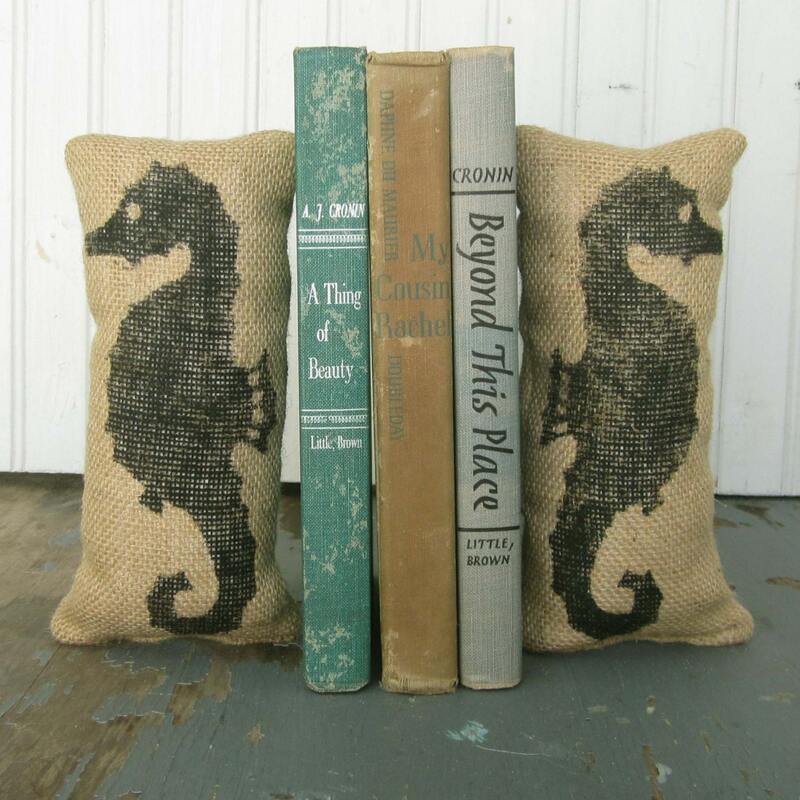 Our petit pillows are sold as a pair and are filled with sand making them perfect for paperweights, bookends, or pincushion (the sand will keep pins nice and sharp). 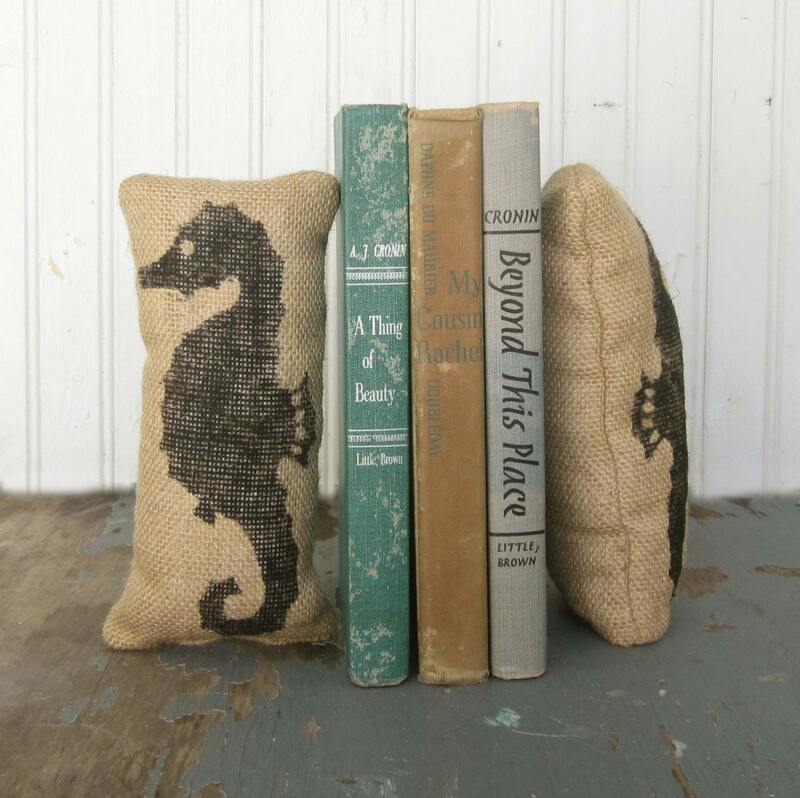 Each one of our petit pillows is made from burlap and is lined with cotton fabric. 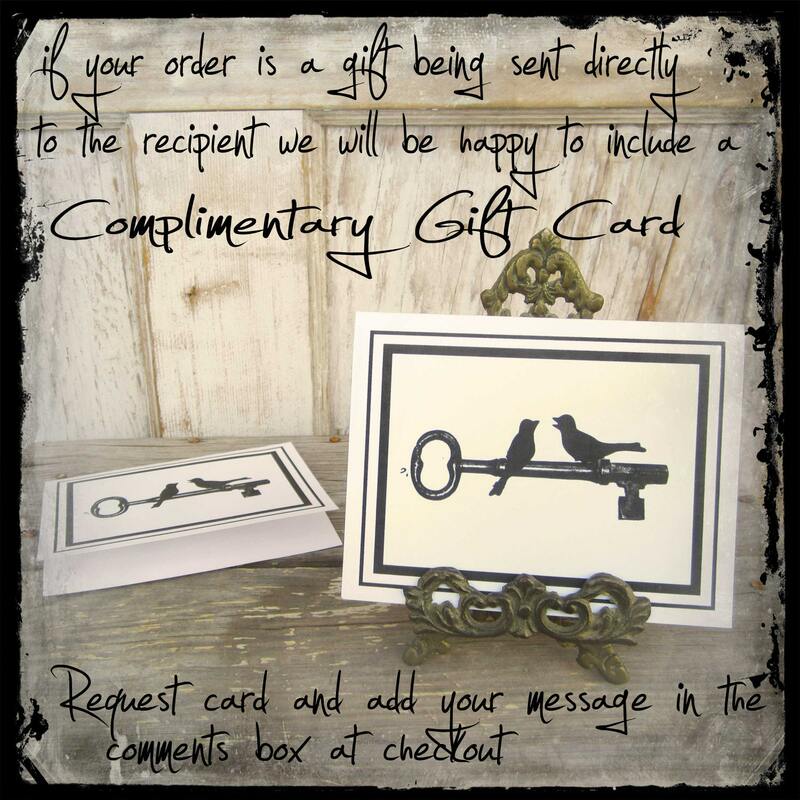 Each bookend is an original creation. 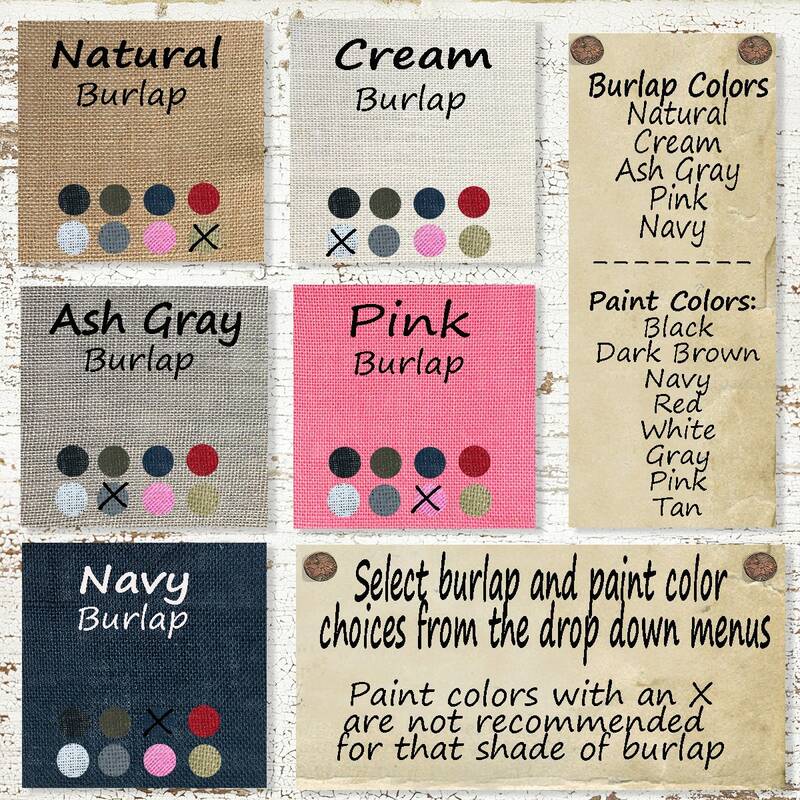 We design and make each stencil and the design is stenciled on the burlap with permanent non-toxic paint. 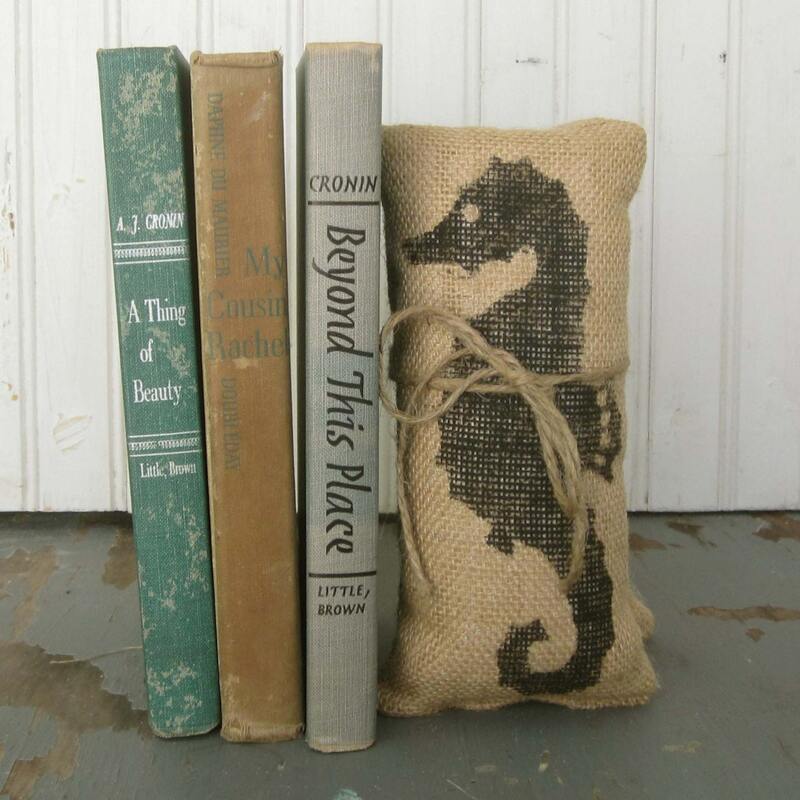 Your petit pillow comes filled with sand and ready to enjoy. Love love love!!!!!! Thank you!! !